• See it all… Electric bikes are awesome. • Lakes, river gorges, suspension bridges, Bungy and a winery. • Riding catered to suit your ability and desires. • No worries, we’ll support you along the way. • We’ll get you sorted with everything for your ride, lunch included. Go further and see more! Ride the same trails as the Basin Explorer but enjoy the luxury and comfort of an Electric Bike. 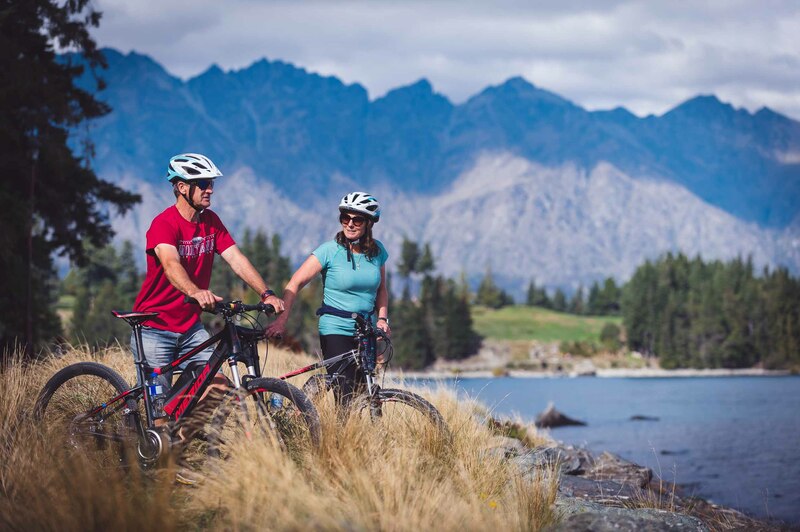 Starting with pick up from your central Queenstown accommodation, your kiwi guide will deliver you to Queenstown Bay. 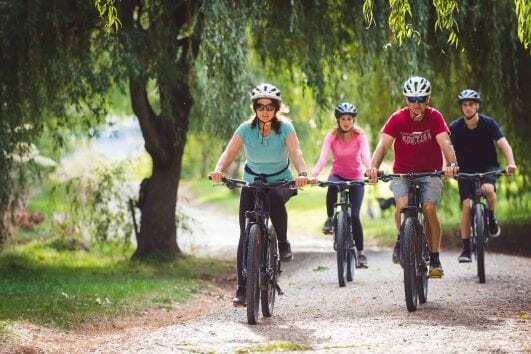 Here you are given thorough directions, a trail map and navigation tips before setting off on your electric mountain bike. 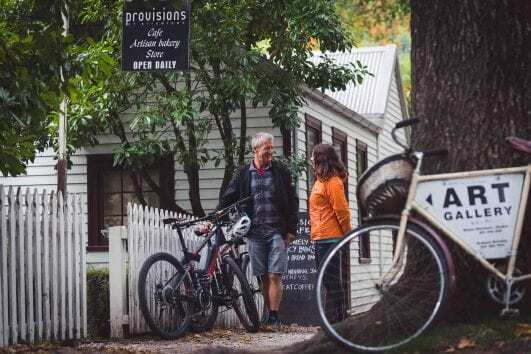 Follow the the stunning Frankton Track and warm into the riding, before being treated to a mid-morning coffee or hot drink break. 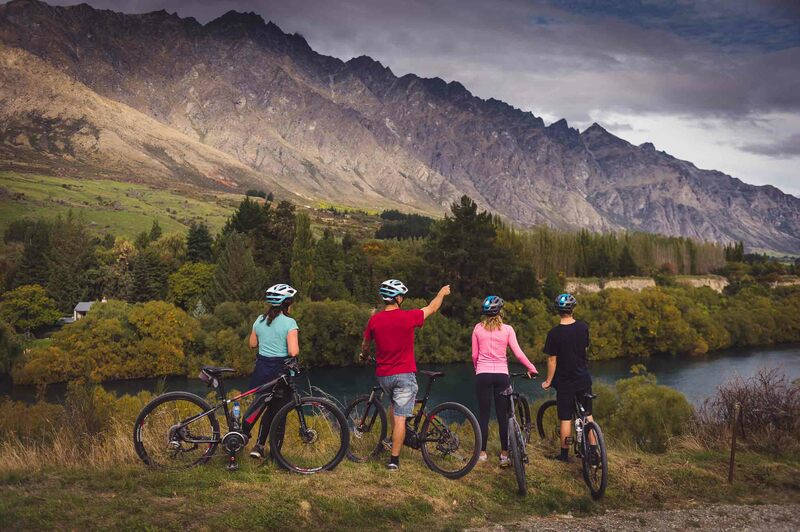 Ride the banks of the Shotover and Kawarau Rivers and experience the grand views of the Wakatipu Basin. 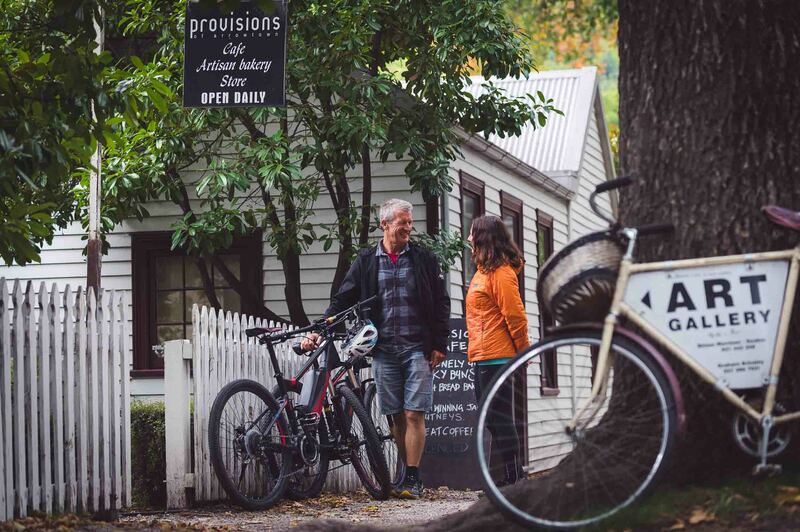 Pause for a provided picnic lunch and to explore historic Arrowtown. 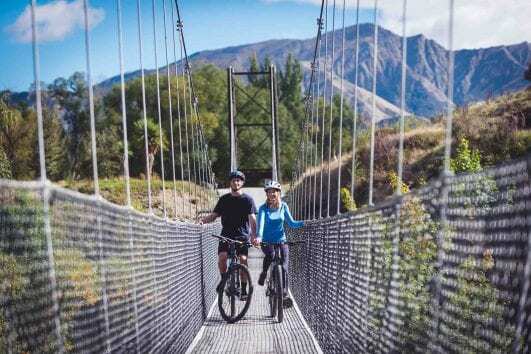 The afternoon will see you biking along the beautiful Arrow and Kawarau Rivers to the Historic Kawarau Suspension Bridge – home of the famous Kawarau Bungy jump. 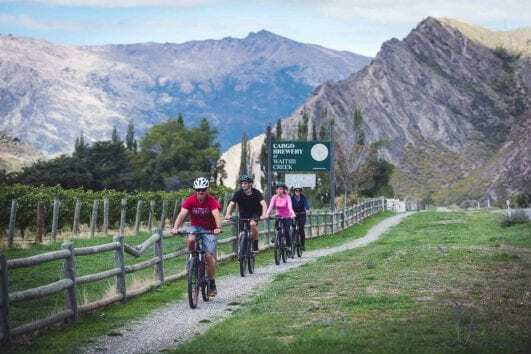 Finish with a short ride through the Gibbston Wine Valley and enjoy a relaxing wine tasting before we transport you back to your Queenstown accommodation. 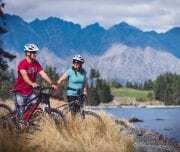 This trip can be catered to any level of rider and is well supported along the way by your dedicated tour guide. 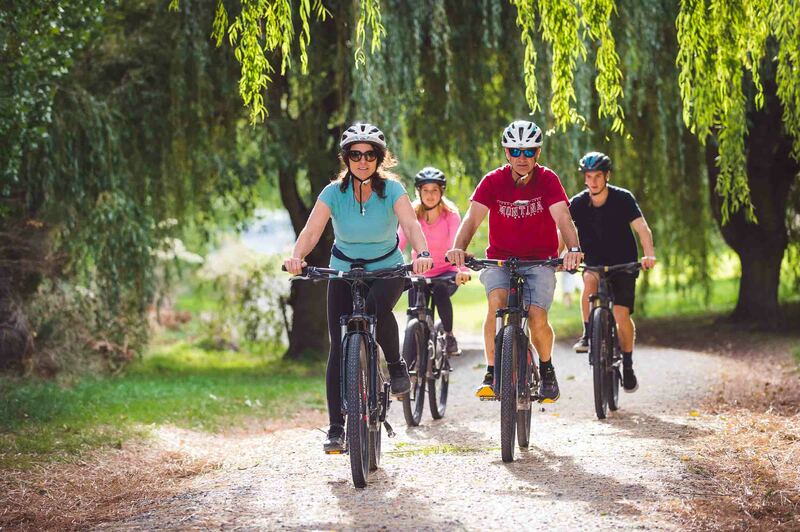 Please note that your guide will not be riding the trail with you, but will meet you with the vehicle at frequent support locations along the way, allowing you to hitch a ride if required. 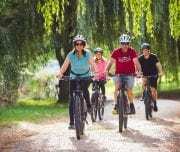 Approximate biking distance is 30kms – all off-road. This distance can be altered to suit the group. Don’t be intimidated by the distances, this tour is about more than just the ride. 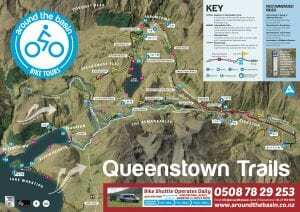 Shuttle Delivery to Queenstown Bay. Let us shuttle you to the start of the trail. 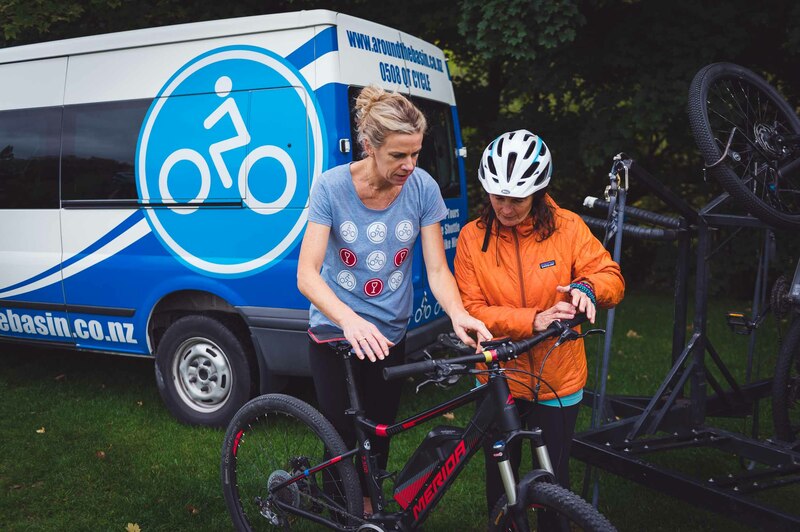 Chat to our local drivers and get to know the person who will be supporting you on your ride. Your tour guide will brief you on bike safety, trail navigation and how your tour will work. 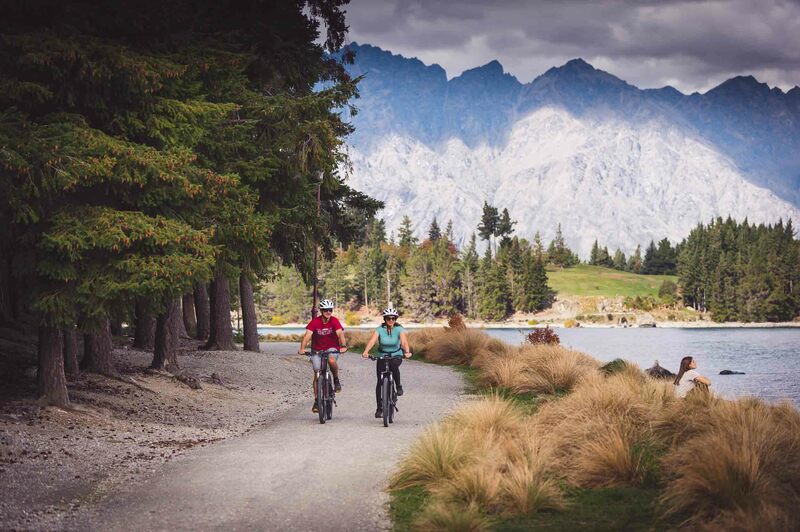 The first leg of your full day tour is a relaxed ride following the Frankton Track. After this fist section is complete, enjoy a morning tea break. We will provide you with a hot drink at The Boat Shed Cafe. 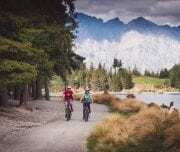 Ride the Highlights of the Queenstown Trail as you make your way towards Arrowtown. Meet your tour guide at designated locations along the trail to ensure you are on track. Be shuttled certain sections as needed and see the highlights of the trail. Leave extra gear in the support vehicle as required. See beautiful vistas of mountains, lakes and rivers. At approximately 12.30 PM you will reach Arrowtown. Here you will enjoy a picnic lunch and some free time to explore this historic gold mining town. 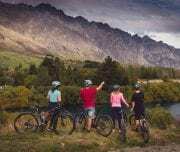 After lunch you will ride a beautiful section of trail from Arrowtown down stream to the Gibbston Valley where a wine tasting awaits. Ride over multiple swing bridges and enjoy the river views. Relax in the support vehicle for a section if the legs have had enough of riding. Cross the Karawau Bungy Bridge – the first bungy jumping location in the world. 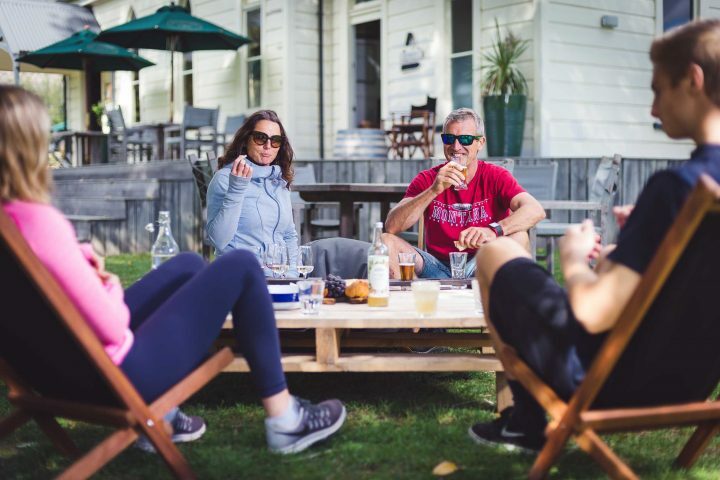 Visit a Gibbston Valley winery for your included tasting. WEAR Comfortable athletic clothing, shoes, jacket and sunscreen.